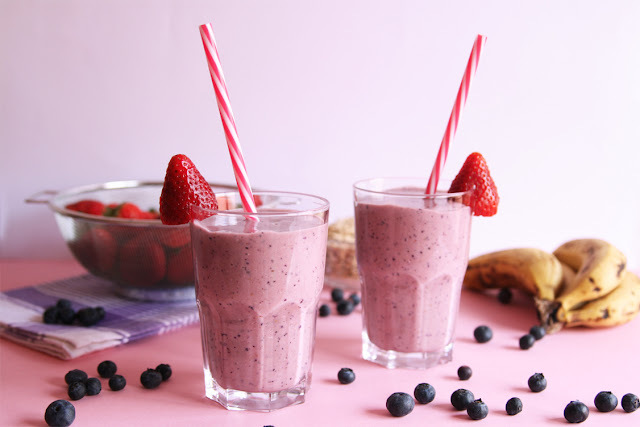 This week I'm sharing with you a fresh and delicious smoothie with berries and a good dose of healthy plant-based protein. After my last post, a decadent Chocolate Boston Cream Cake, I thought it was good to make something more on the healthy side, easy, quick and with a vibrant spring vibe. 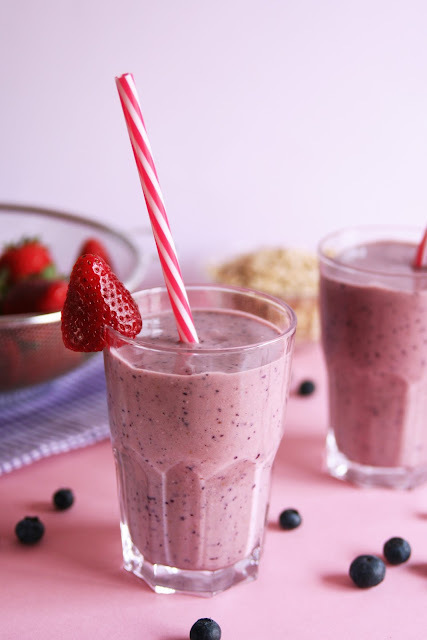 This smoothie makes a great and complete breakfast but I love to drink it after an intense workout session cause it helps me hydrate and get a lot of vitamins, good-for-you proteins and it makes me feel full and re-energized until the next meal. You can make your own version using different types of milks (rice, almond, etc. ), subbing the blueberries with other fresh (or frozen) berries or simply leaving the blueberries out; it will still taste delicious. I love to use natural peanut butter in this recipe but you can pretty much use whatever nut butter you want, though if you don't have PB I'd recommend almond butter or white tahini. Nut butters are a great source of plant-based protein but to make this smoothie more complete I added one tablespoon of pea protein powder. Feel free to leave it out if protein powders are not your thing...or use a scoop of your favorite protein powder. 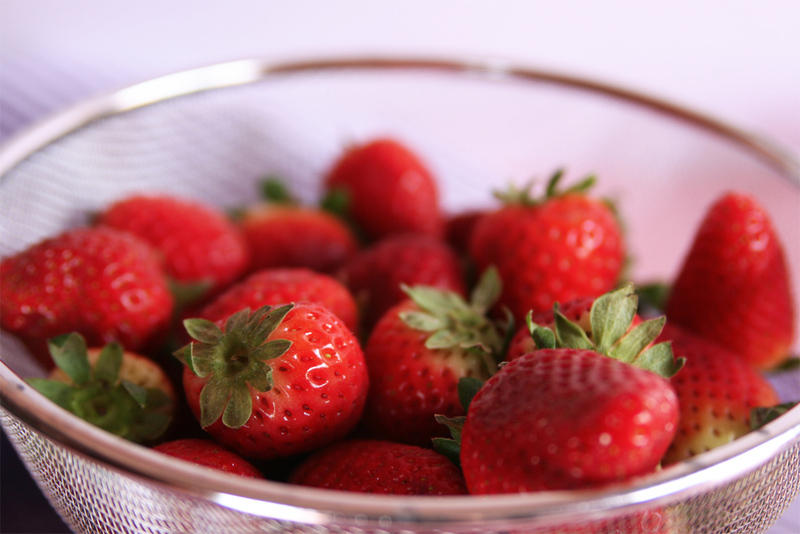 1 cup fresh strawberries, cut in halves. 1 tablespoon pea protein powder. If you want your smoothie less thick try increasing the milk to 1 1/2 cups or start with 1 cup and gradually add more until you reach the desired consistency. Thoroughly wash and drain the strawberries and blueberries. Cut the strawberries in halves before measuring. Cut the banana into medium-big chunks. Place all the ingredients in your blender and blend until smooth. 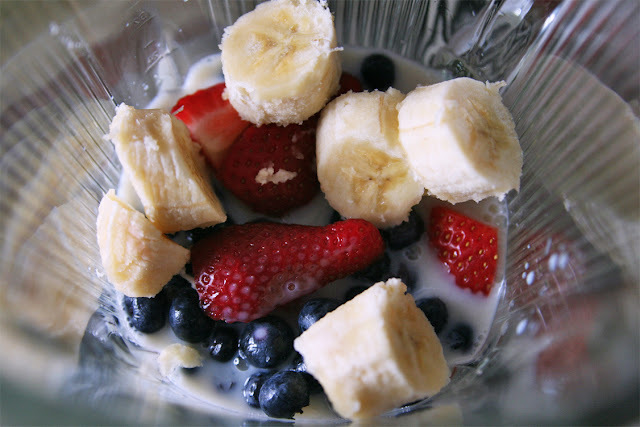 Taste and adjust the consistency by adding more milk if you like your smoothies less thick. 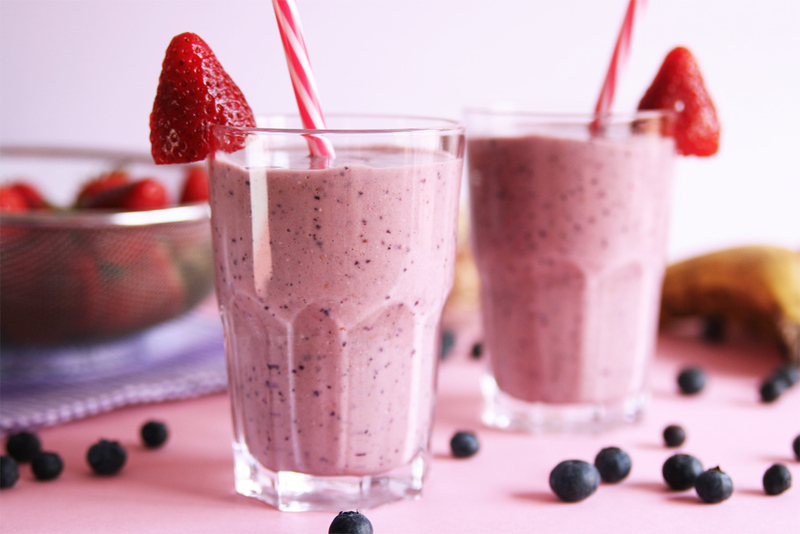 Pour the smoothie into a tall cup and drink immediately. Gemma, s'ha de reconèixer que portes una vida super sana!!!! 😀 I aquest smoothie fa molt bona pinta!! YUM! 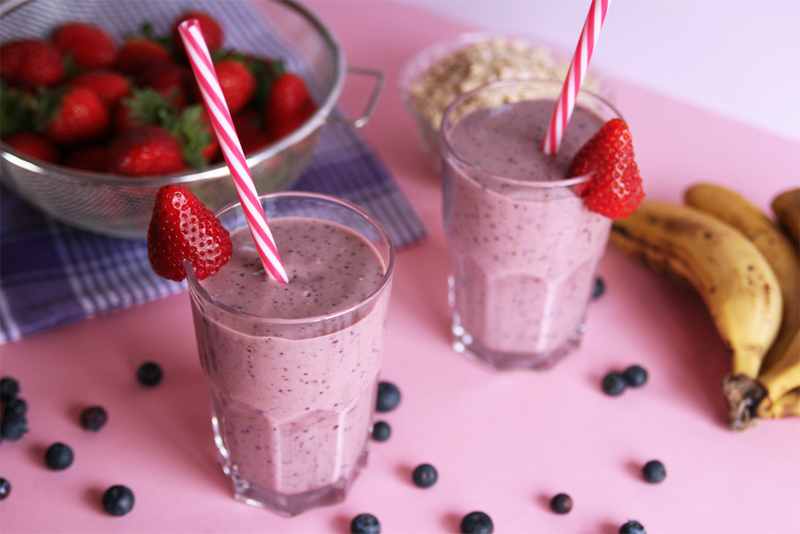 so much goodness jam-packed in this smoothie!